1. knowledge or perception of a situation or fact. September is Childhood Cancer Awareness Month, and as I sat eating dinner with my family the other night, I told my husband, Stuart, that I should write something for this month of awareness. I blurted out, “Awareness. What a bullsh*t word. That word is the problem.” And just like that, this blog post was born. I’m sure the word “awareness” comes from back in the day, when no one spoke of cancer. The “C” word, as it was called. People died quietly. Very rarely was a child with cancer even seen. Probably because there were no real treatments for them, so they died so quickly. Even 20 years ago, they were barely saving one child who was diagnosed with neuroblastoma, we were told at our consultation with Memorial Sloan Kettering Cancer Center. Hell, we were told that our daughter, Isabella, wouldn’t have survived her brain relapse if it had occurred just three years earlier. 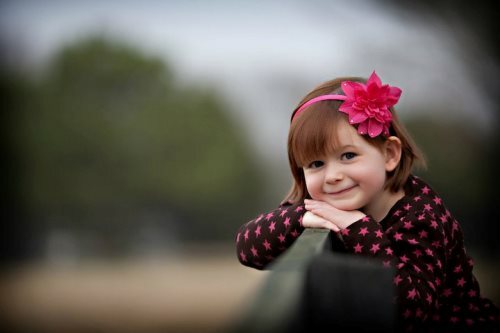 Isabella would have been dead 9 months after her initial diagnosis. There wouldn’t even have been enough time for me to get her story out to you. So, awareness month was a good thing back then… hey, meet this little 3-year-old with cancer… Nope, wait.. She’s already gone. But now, times are changing. These kids are fighting harder and longer. Their stories are getting out there because the chemo drugs are not curing kids, but they are extending their lives. People ARE aware of them. Awareness of pediatric cancer is out there. But now we are getting stalled because the movement is not moving. Here is what a typical pediatric cancer month looks like: You “like” a couple of Facebook posts about childhood cancer or maybe even “share” one. You think about signing up for a childhood cancer 5k, but your life is busy, so you don’t get around to it. You take your kids to soccer practice and do homework and have drinks with girlfriends and go to work and church and read People magazine to catch up on your favorite celebrities and see how short Lindsay Lohan’s shorts were in NYC the other day… “Oh, no she didn’t,” you say. And then, you are running errands in late September and start noticing the city turning pink and think, I need to schedule that mammogram. Then it is October 1. Did you know that the 2012 cost of government elections was more than 6.2 billion dollars? Did you know that in 2012, the cost to RE-ELECT the SAME president was estimated to be 2.6 billion dollars? That is something you should be aware of. Because in 2012, we spent less that 10 percent of that 2 billion dollars funding childhood cancer research, or less that 5 percentof the 6 billion-dollar-cost of 2012 government elections. And just 4 percent of the total cancer funding goes to pediatric cancer. Also scary to think about, 60 percent of all funding for drug development for adult cancers comes from pharmaceutical companies. What is the percentage of funding for drug development from pharmaceutical companies for childhood cancer research? Almost zero. Why? Because children’s cancer drugs aren’t profitable. Ouch. So, back to my issue with this “awareness” word. The movement I want to start is this… Let’s maybe change what your September looks like. Print a picture of my daughter. Tape it to the back of the doors in your house. That’s right, the front door and the back door. Every time you walk out the door, take a look at her. She died in my bed on a Thursday morning around 9:30 while her little brother was at camp at the YMCA. She was 7 years old. She died about 80 years early. She also died because she ran out of treatment options. She died because her cancer has very little funding and her drugs aren’t profitable. Look at her picture when you walk out the door for your awareness. “Awareness.” Check. But then, when you get in your car to take the kids to school, go to work, go to the gym… think about something you can do that is ACTION. Forget awareness. September is Childhood Cancer “ACTION” Month. Do something that day that is action to save a child’s life. Sign up for race, make a donation, research what is really going on, ask your friends to help, talk about it, have a lemonade stand, write your congressmen, help a family who has a child with cancer. Can’t think of something to do for 30 days? Email me, I’ll help you with your list. Cancer is an epidemic in this country and I’m confused as to why people aren’t freaking out more than they are. Probably because they don’t have it… yet. Or maybe because we are all so “aware” of cancer, but aren’t taking action against it. Maybe we are all waiting for the future of cancer. In the new Matt Damon movie, Elysium, set in an imagined future, a quick scan on your body just “SNAP,” gets rid of it. The truth is, that is not even a remote possibility in your lifetime. So, let’s not make this month about just liking a Facebook e-card about cancer or reading a family’s caringbridge entry and then walking away. Let’s all admit that awareness is just a legacy, bullsh*t word and lets all commit to making this month about action. Action saves lives, awareness does not. As we move into crunch time for our 10th Annual 5K/10K and Fun Run for Kids Cancer, we want to make sure we take the time to thank our sponsors who help make this event possible. We have had several companies decide to partner with us for the entire year as a Sustaining Sponsor. A Sustaining Sponsor is an annual sponsor of the Isabella Santos Foundation. Support from sponsors are what enable our continued level of success. PSL Source/Maxim Tickets has supported ISF for years. They consistently donate event/game tickets to the Isabella Santos Foundation for our auction and giveaways. This year they stepped up as a 2017 sustaining sponsor in an effort to support us in fighting childhood cancer. Check them out for sports and concert needs and buy and sell Carolina Panthers PSLs securely and hassle-free at PSLsource.com. PSL SOURCE: Buy and sell Carolina Panthers PSLs (Personal Seat License) and become a season ticket holder for the upcoming 2017 season, and every year after at Bank of America Stadium. Maxim Tickets – Looking to purchase single game tickets or season tickets for the Carolina Panthers? Visit maximtickets.com. We offer a huge selection of Carolina Panthers tickets including Panther season ticket packages and Panther parking for the season. The other day we were asked by a child if they raised money for ISF – could they get something fun in exchange? A contest of sorts.. but not really. It’s never a contest when we are fighting for a cure… BUT we are all about kids having some fun with it, so why not. We started brainstorming and kids love our raffle at the 5K/10K FOR KIDS CANCER and why shouldn’t they? Its AMAZING! In honor of our 10th year anniversary of the race, we are bringing it all back to the spirit of Isabella. Isabella was out there pounding the streets, hosting lemonade stands, asking friends and family for money… not for her, but her friends who were fighting cancer. ISF was never about HER in her mind because she just wanted to do something to help others in need. And just because they are young, doesn’t mean they can’t make a difference! Lemonade stands, bake sales… get those creative ideas rolling! We have teamed up with Race 13.1 to provide a bonus bling opportunity for running both Race 13.1 Charlotte (Sept 24), NC and the 10th Annual 5k/10k For Kids Cancer (Sept 30). You must be registered for BOTH events no later than next Monday, August 21st in order to be eligible for the bonus bling! Runners who register for both events by August 21 following the guidelines below and complete both races will earn the medal to the right! You must use the same name and email address to register for both races. You must be registered for each individual race by August 21, 2017. You must be present to pick up the bonus bling medal at ISF’s 5k/10k for Kids Cancer on September 30. Medals will not be mailed. We are absolutely thrilled to announce the results of our 1st Annual COCKTAILS FOR A CURE. Earlier this month, and over the course of two inaugural events, more than 250 men and women gathered in Columbus, OH to not only learn more about Isabella’s story …but also gathered to fill rooms with hope. This two-day event served as a call to action in the fight against pediatric cancer and to educate community members on the importance of bringing pediatric cancer treatments home to Nationwide Children’s Hospital. On Wednesday, August 2, we gathered at the trendy Fox In The Snow for an intimate setting and heard from families fighting locally and from the Doctors that care for them, on the need for more research and treatment options. The following evening, more than 200 people came to The Forge at Pillar Technology for a night of inspiration and hope. Among the stars of the evening were and her DJ, the incredible food and drinks provided by Pillar, an amazing raffle and silent auction put together by a team of volunteers in the Ohio area, and an introduction of Isabella and ISF to the city of Columbus through an emotional and touching presentation. We are blown away and beyond grateful that the overall event raised over $26,000 and donations keep coming in. With your help- WE DID it! We accomplished our goal and will be sending Nationwide Children’s Hospital a donation in the amount of $30,000 to fund the Neuroblastoma Genomics Based Therapy and Discovery Project. This amount, gifted on behalf of The Isabella Santos Foundation will be for a comprehensive research work-up including whole genome sequencing for patients with Neuroblastoma. We are proud of our first expansion event and love the city we chose. Columbus is known for its philanthropic ways and we hope to be back year after year to help grow our foundation in Ohio and to help the local community. We want to thank all of the businesses who supported our efforts through sponsorships. We could not have done this without you. Additionally, we want to send a special thank you to the village of individual people that we had on the ground to help pull it off. Without the hands and feet of this great team, our event would not have been the success that it was.